PURPOSE: To reduce isolated noise in an image. DESCRIPTION: ISONOISE is a noise filter designed to try to reduce impulse or isolated (sparce) noise in an image. 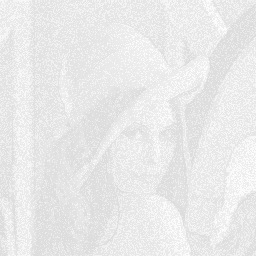 It works by using the median filtered image where it assesses that noise is present and the original image where it assesses that no noise is present. -r ... radius ..... radius is an integer >=1. It determines the neighborhood of pixels to use to compute the median at each pixel in the image. A radius=1 means use a 3x3 neighborhood about each pixel. A radius=2 means use a 5x5 neighborhood about each pixel. The larger the radius, the longer the processing and the more blurring that will occur. Noise filters generally trade some degree or blurring for noise reduction. -t ... threshold .. threshold is in percent (without % symbol) and determines how much of the image is assessed to be noise. A smaller threshold, will reduce noise more effectively but cause more blurring. On the other hand, a larger threshold will reduce noise less effectively, but cause less blurring. Computes the difference image between the noisy and median filtered images. Thresholds the difference image to try to locate the areas of noise. 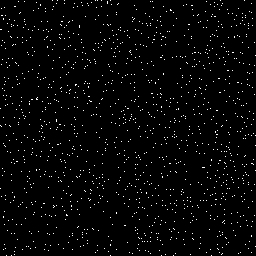 there is noise and the original image where there is no noise.